- Iron on self-adhesive plastic film (polypropylene). Weight: 50- 68 g.s.m. - Low heat, easy to use with very good shrinkage. Gives a glossy finish in a wide range of colours. MODEL TYPE: General sports R/C models especially veneered foam wings and sheet balsa box fuselages. APPLICATION: Iron on with low iron temperature. Cannot normally be painted unless treated with Prymol first. 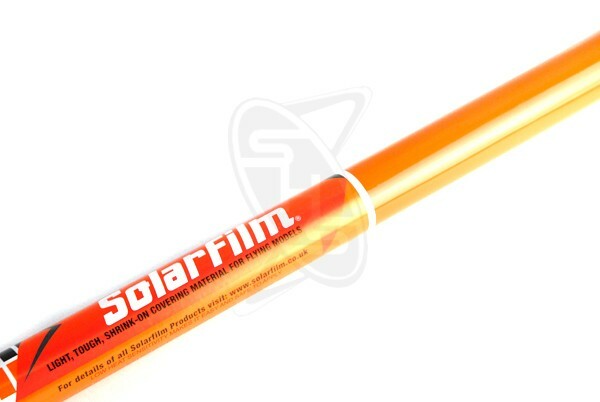 For decoration use Solartrim.